This entry was posted in Canada, Newfoundland, St. John's and tagged Atlantic Ocean, Benaventure Avenue, Colour of Newfoundland, Memorial University, Newfoundland and Labrador, Sculpture of Musicians, Signal Hill, St. John's, St. John's Cathedral, St. John's Harbour. Bookmark the permalink. Canadians friends tell me I have to visit eastern Canada and your photos sure show why? Just beautiful. 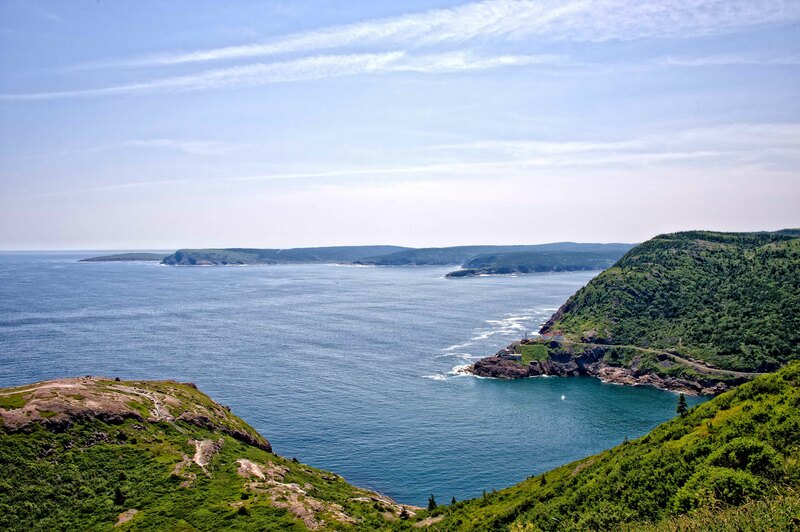 Canadian maritime provinces have their own charm. It is really worth to see them. The most what I like there is people. They are kind, open-minded, honest and very friendly. The nature is not colourfully beautiful as southern but have an awesome quiet identity and makes one fallen in love with it. It’s such a beautiful place, nice photographs! Thank you, Karen! It is for sure beautiful place. But the most valuable thing is people. They are friendly, easy going, open minded. I fell in love with this place! You are right about that, the people are amazing. Hiking some of the east coast trail was pretty fantastic too! I think it is great place for “green” tourism if we can say like that. I love love the assortments in your gallery! I was content looking at the coast, but then you got some really good mixture with street photography, the houses, overlook, and architectures of old and modern builidngs. Always excellent photography, Alexander. Thank you, Rommel, for your kind comments! You are grateful watcher! Yep, another reply from me. I kept going back to the one that has flowers on the windows. That made me smile hugely. What a lovely sight to see. Thank you again! This Building caught my eyes with strange feeling. It was huge and massive concrete monster. But something strange was in it that made it more pleasant than it was. Suddenly I realized the flowers made a huge difference in its perception. I love your interpretation. Actually, I like pictures, poems, painting art where I cannot read exact idea or story behind that thing and I can guess or imagine my own story about what I see or read. The story behind that particular picture is. I walked alone the street and the young man in front of this banner caught my eyes. He was somewhere in his dreams or so. I asked him about making a picture and did not have negative answer. Then I promised to send that picture to his email address. He enter his address to my cell phone but did not save. I did not check if everything ok. At home I found that address is not in my phone book. My feeling is not good about that. I never lie to people and if promise to do something I do it. Sad! Amy, I am sorry! It is really heartbreaking thing to watch somebody’s suffering. I experienced that many time in my life. One of that situation was with my pure white Persian Beauty – Chicholina. It is happened 5 years ago. Since then we decided do not have any animals at home. At least for now. Do not know why I recall Stanley Kramer film “Bless the Beasts and Children”. It seems to me they have to live in Peace and Love. It is only way to save Life on our planet Earth. And God bless YOU for listening today to me, Alexander. Amazing place. Thanks for sharing your pictures. Thank you, rabirius. The place is beautiful for sure. Danke! Es ist, weil der Ort ist schön! I would love to visit. The wooden houses with their bright colours are charming. In the summer time it looks like a Fairy Tail environment. You never know when and where you can see unexpectedly beautiful places.